As a mum of two little ones I love anything that can make life easier. And getting two under 3’s safely out of a car in a car park is one of those situations that needs to be easier! 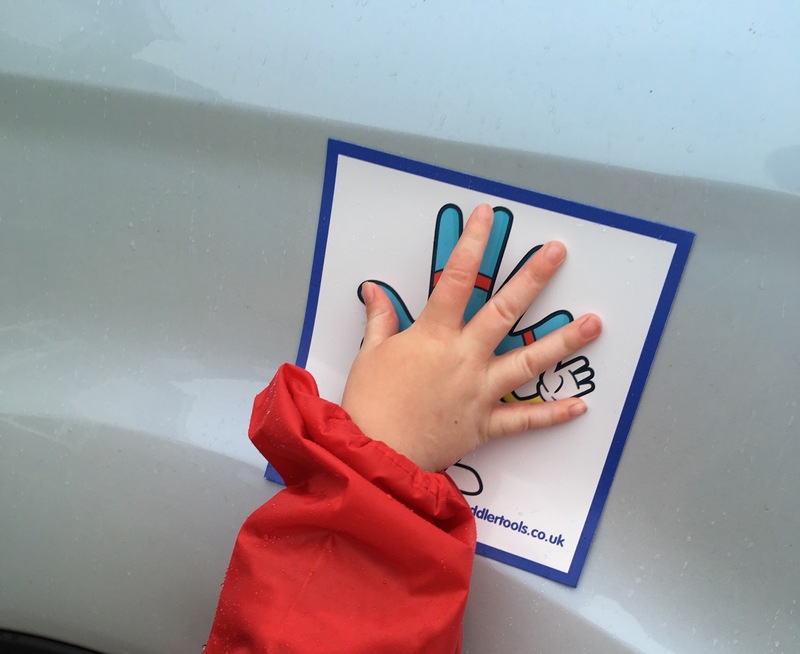 My current method of getting them out of the car: First I get my nearly 3 year old out (- as I can’t unclip him whilst holding my wriggling 1 year old) , then hold his hand round to the other side of the car, then get him to stand still (tricky part!) whilst I unclip my 1 year old and lift her out to carry her whilst I hold my nearly 3 year olds hand. A bit of a palaver?! Yes! That’s why I was relieved to discover the ‘Handy Helpers‘ by Toddler Tools. They are a magnetic square that sticks on your car, with a hand printed on it. The hand is for your child to put their hand on to keep them still and safe next to your car. Designed to be used for times like when you need to get another child out. 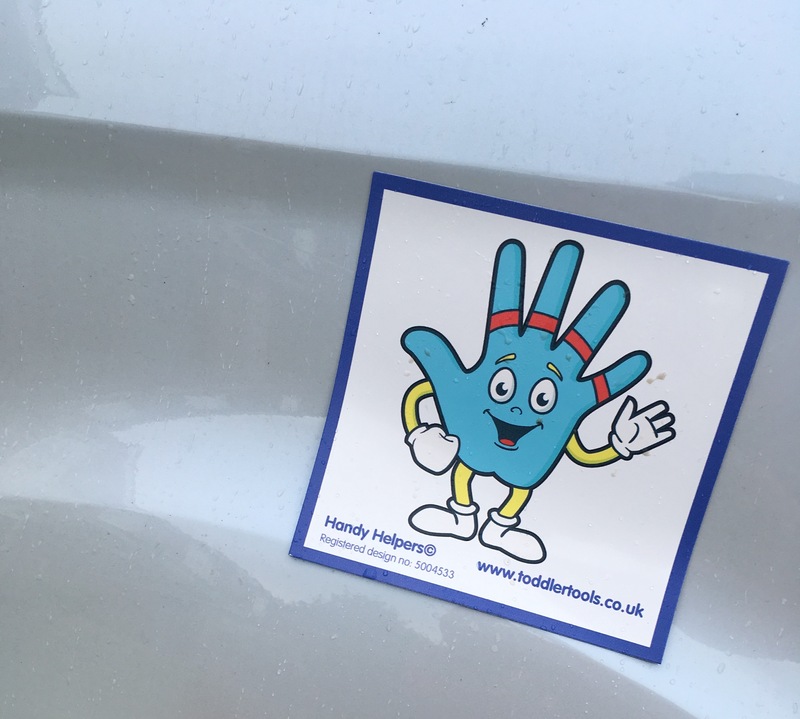 They Make my Children Safer- after a bit of explaining and reminding-my nearly 3 year old is now well ‘trained’ in keeping his hand on the ‘Handy Helper’ whilst I get my 1 year old out of the car. This is therefore making him safer in car parks, driveways, roadsides etc. I would stress that I do still remind my son about it and I have him in easy reach just in case he changed his mind and moved away. They are bright coloured and fun- therefore children want to engage with them. From the minute we got them out of the packaging my kids thought they ‘looked fun’. Meaning they are more likely to use them. Magnetic- being magnetic it can be repositioned. It can also be taken off easily when you are going out without the kids. ← In Pictures: Toddler’s Favourite Noisy Books!